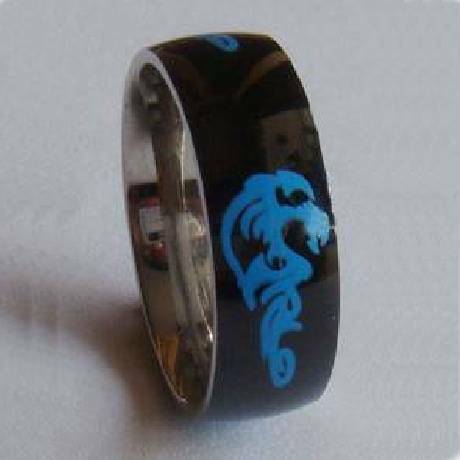 This Black 316L Stainless Steel ring features a Dragon design in blue, which is located in three areas around the ring. 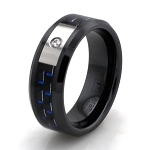 Decent ring but the dragon scratched off after about 3 weeks of wearing it. 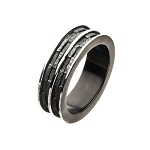 This ring comes to life when the sun shines on it. 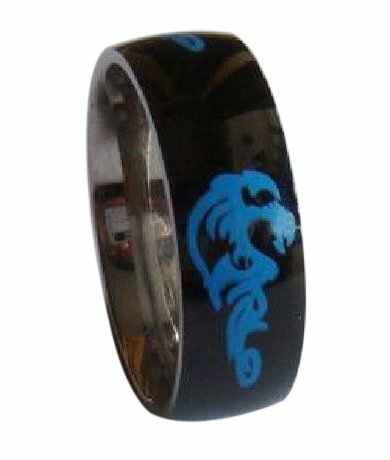 The blue dragon design really glows!